Fear haunts the streets of Preston's city: a girl has disappeared. Preston is drawn to investigate, exploring the city in the hunt for his missing friend. And deep in the bowels of a secret scientific institute, he discovers a sinister machine used to banish teenage criminals for their offenses.Captured and condemned to a cavernous dimension, Preston is determined to escape. But this is no ordinary jail. Friendships will be forged and lives will be lost in a reckless battle for freedom, revenge--and revolution. 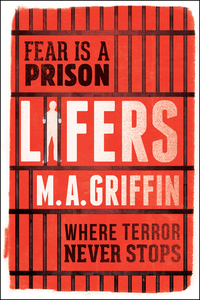 Set in a world all too similar to our own, Lifers is thrilling, pulse-pounding storytelling of the highest degree.